My name is Terry Hoddinott and I have been blind since the age of three. I have grown up in a world that has been for the most part unaccessible and I am happy to be I am happy to be making the world more accessible. Being blind myself I know the importance of Braille in the work place and public spaces. Imagine getting into an elevator and not knowing what button to press or what floor you happen to stop at? Imagine going out on a date and having to ask your date to not only read the menu but also tell you the prices, embarrassing. I started Braille Masters 25 years ago to make blind and visually impaired people's lives easier and more fulfilling. Braille Masters strives to provide Braille/large print materials that will make the world a more accessible and friendly place for blind and visually impaired people. Please don't hesitate to contact us with any questions or for a quote on any job big or small. Our prices and turn around time can not be beaten. 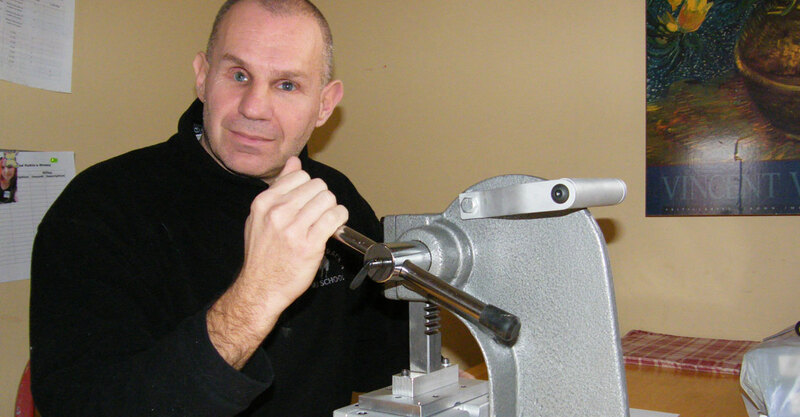 "We have been working with Terry at Braille Masters for many years. His work is always thorough and prompt and of great quality!" Marian RatyBoston Pizza International Inc.
My name is Terry Hoddinott and I have been blind since the age of three. I have grown up in a world that has been for the most part unaccessible and I am happy to be a part of that changing. Being blind myself I know the importance of Braille in the work place and public spaces in general.